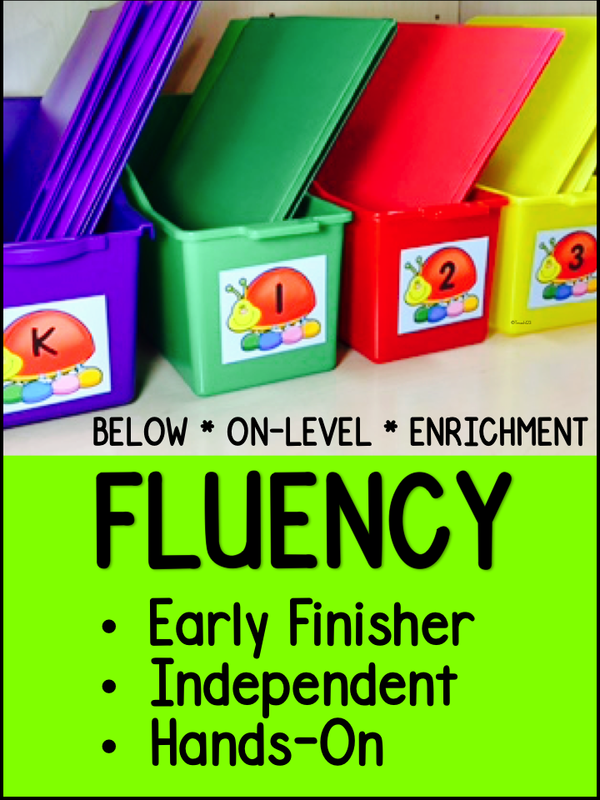 It seems like it is hard to find time to add fluency lessons to a busy schedule. Although you can send books home, families have busy schedules, too. So, what is the solution when fluency is such an important component to reading? I found the best solution for me is to find a way for my students to practice their reading skills independently. 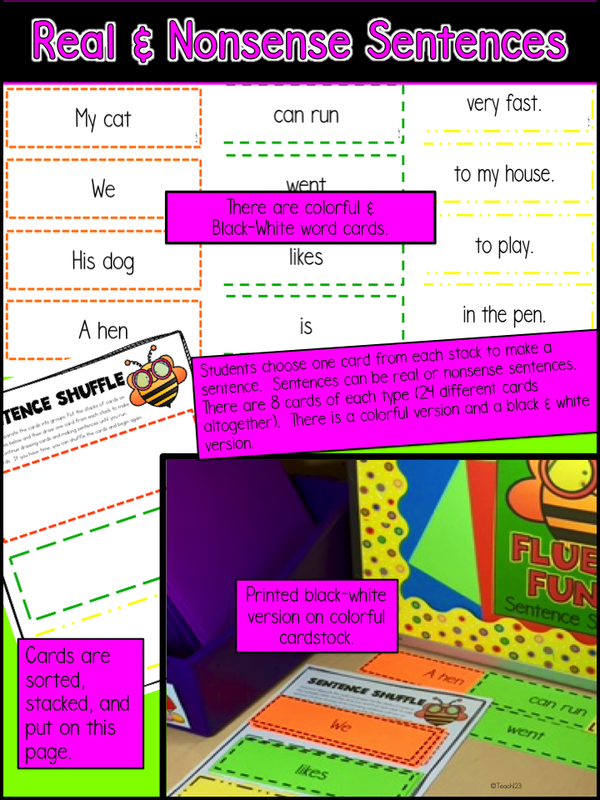 I made Sentence Shuffle Centers that can be set up as a literacy center or folder activity. 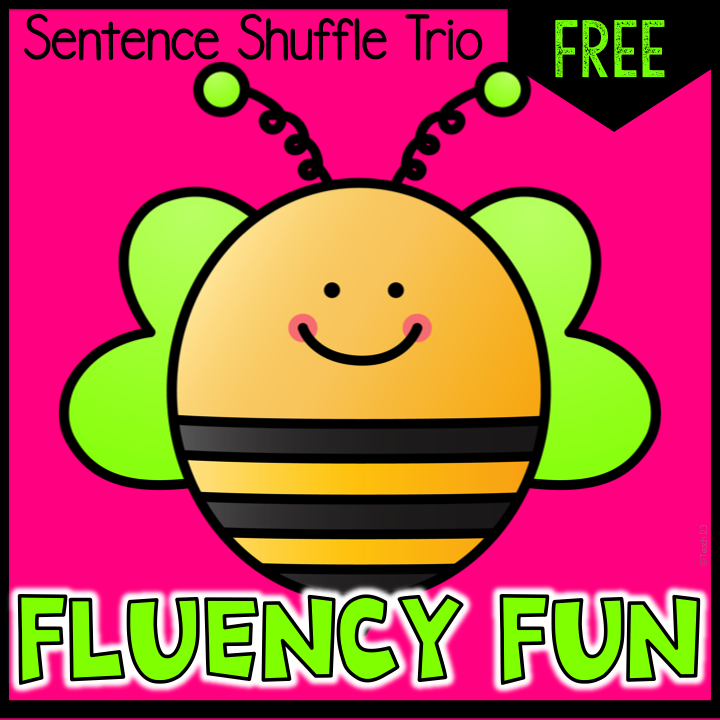 I have Sentence Shuffle Centers that are on reading levels K-5 so you can use these with your students below level, on-grade level, and enrichment. Put the cards into 3 stacks by color. Choose one card from each stack. Arrange the cards to make the cards into a sentence. HINT: Find the card that begins with a capital letter. Read the sentence. These sentence can be real sentences or nonsense sentences. Choose 3 more cards and read the sentence. Keep doing this until you’ve used all of the cards. You may shuffle the cards and make new sentences if you have time. Complete one of the writing extension assignments. 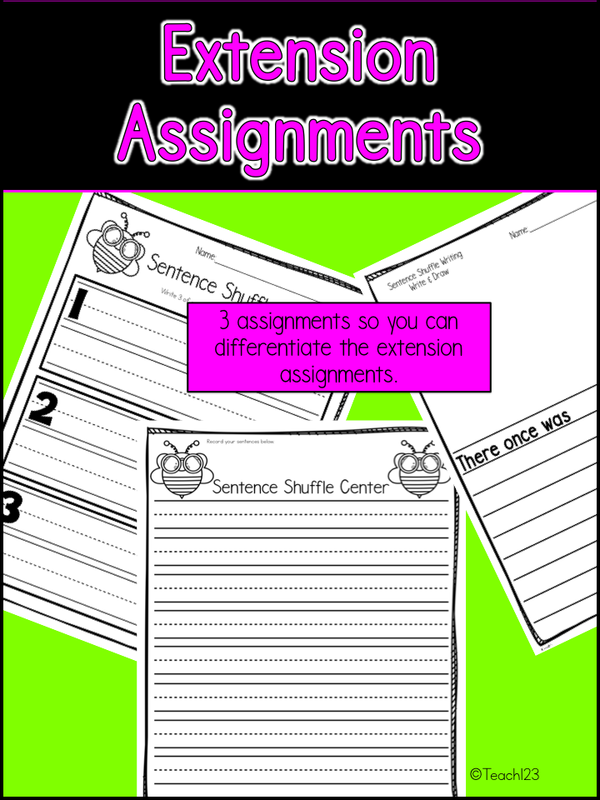 There are 3 writing extension assignments so you can differentiate this activity. 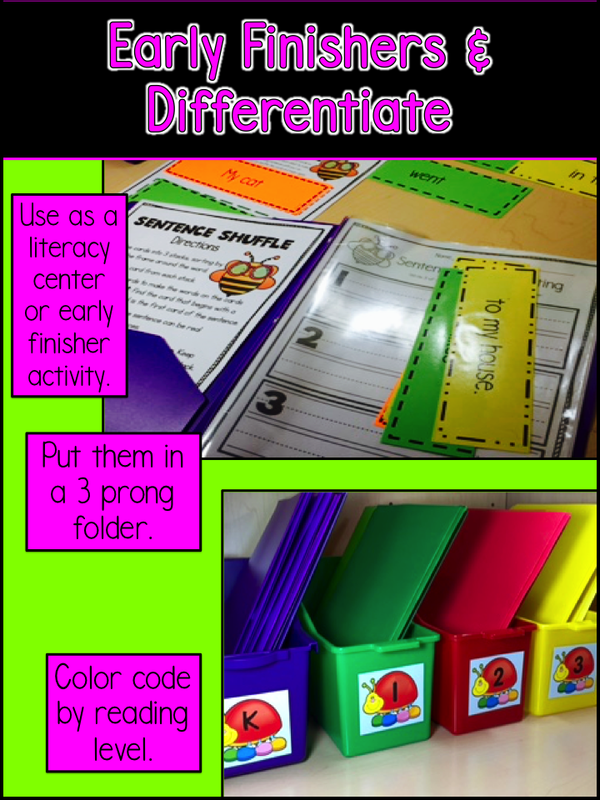 If you put the Sentence Shuffle Centers in a 3 prong folder, you can color code them by reading level. You could set this up as a literacy center, use them with your small group, intervention groups, or with your early finishers groups. I added page protectors to store the words cards. There are also page protectors for the writing extension assignments. I keep the direction and shuffle card page in the front and back pocket. I just revised this packet (10-7-15). 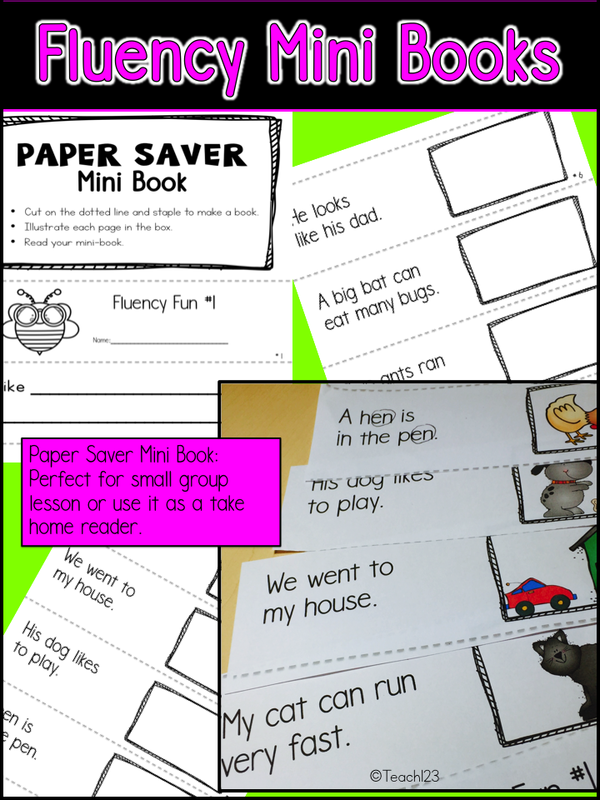 I added this mini-book which would be a great addition to your small group lessons. Send it home for additional fluency homework. 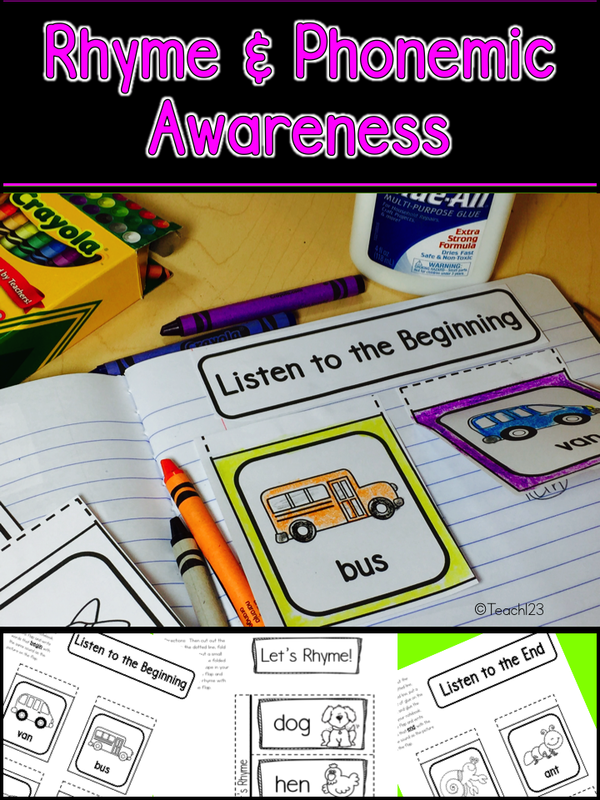 I also added 3 interactive journal printables: rhyme & phonemic awareness. I’m sure there will be plenty of laughter with this center because your students can make some silly sentences. This packet is available at my TPT store. Click on the picture to go to my store. I have other Sentence Shuffle Centers. Click on the picture below.